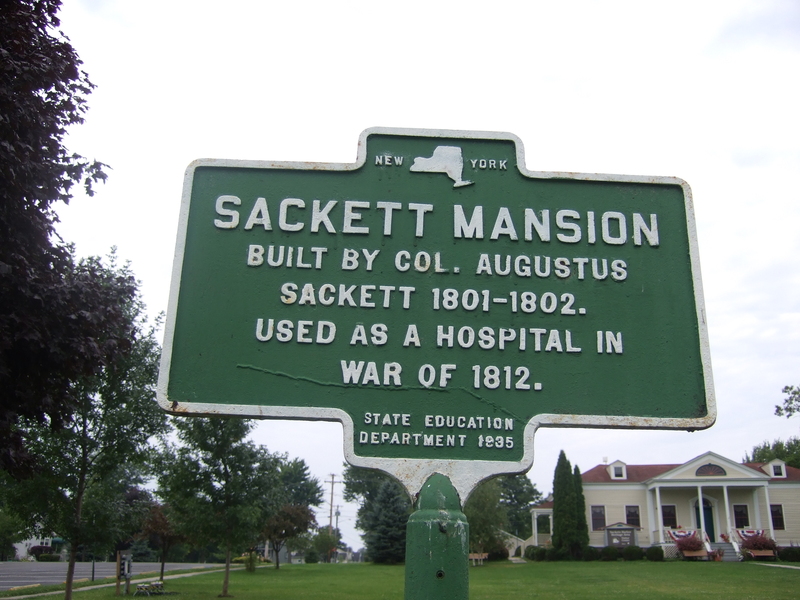 People often ask why Sackets Harbor, NY, was chosen as Caroline Abbott’s home town. 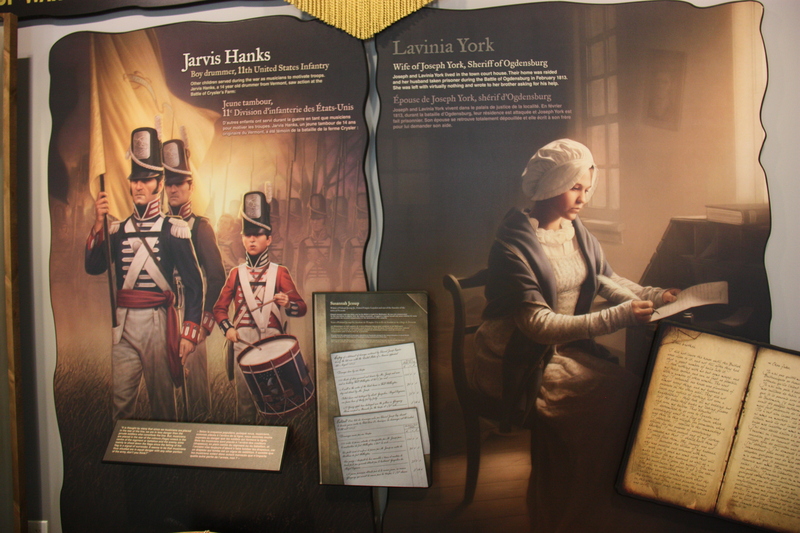 When I was invited to create an 1812 character for American Girl, I explored several possibilities. In the end, though, I recommended that we locate the new character on the shore of Lake Ontario. 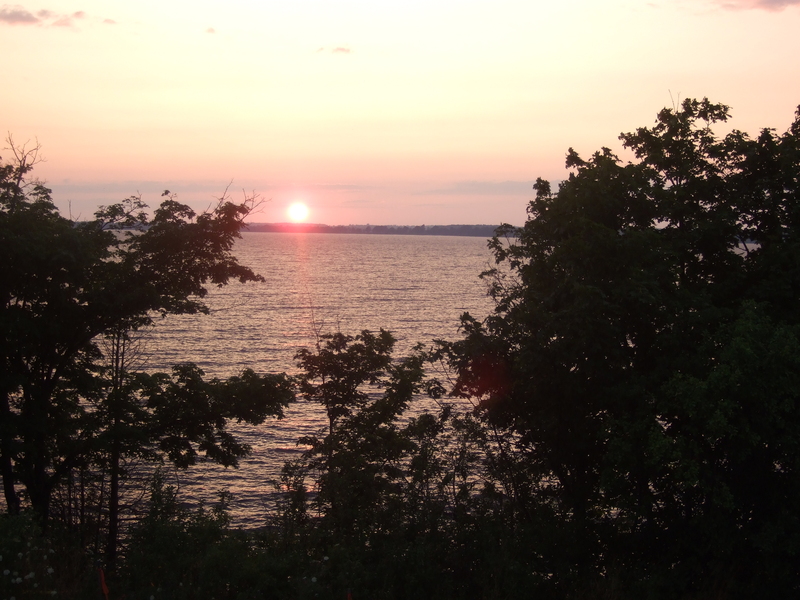 Once my editors had agreed, I considered options and decided to focus on the village of Sackets Harbor. 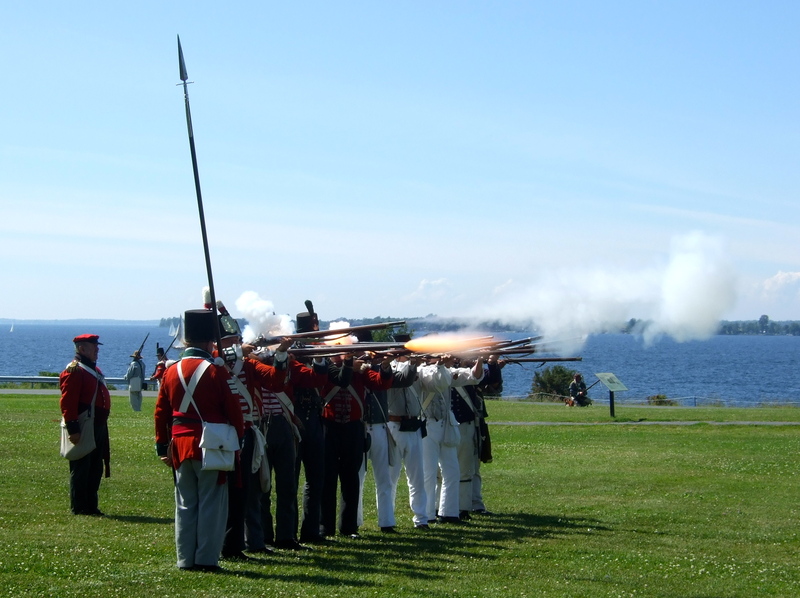 First, it seemed that few people outside the region knew how important the Great Lakes were during the War of 1812. I certainly hadn’t understood that. 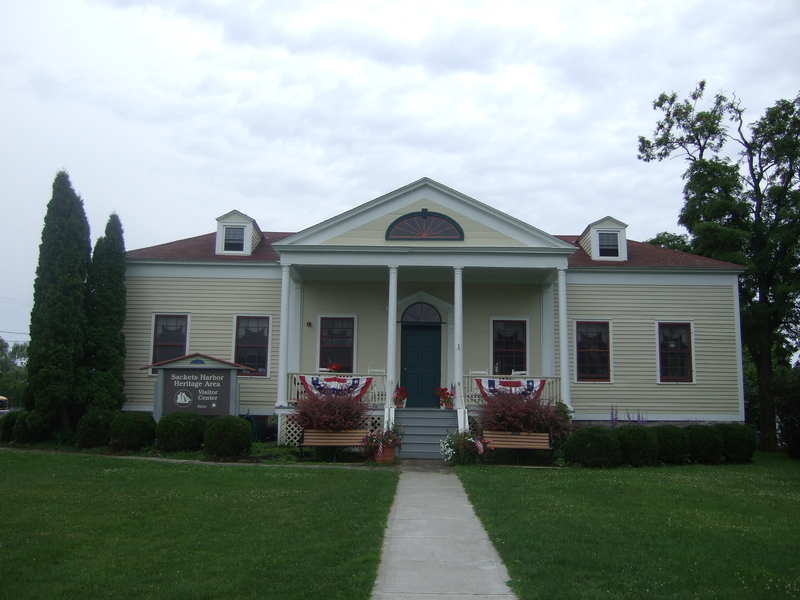 Second, a number of 1812-era buildings are still standing in Sackets Harbor. 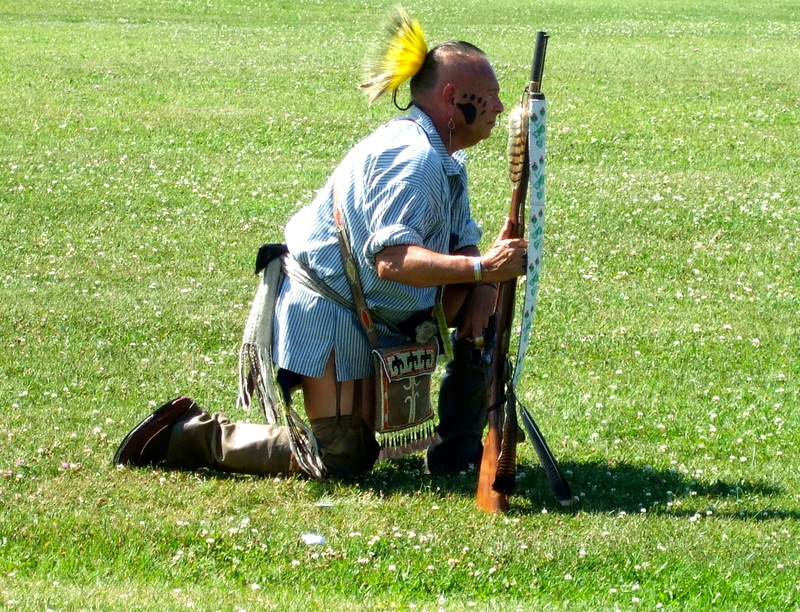 New York has also preserved important ground in the village as an historic site. 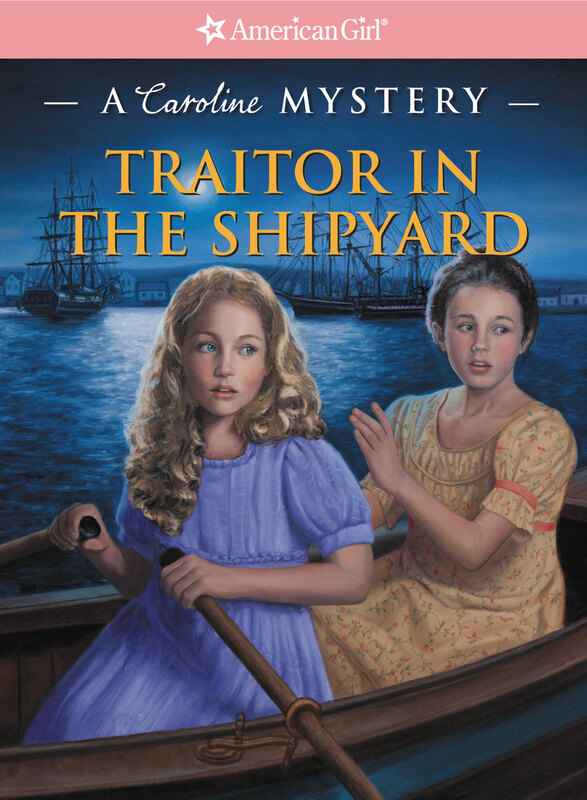 I knew that readers would be able to visit Sackets Harbor and easily imagine Caroline there. 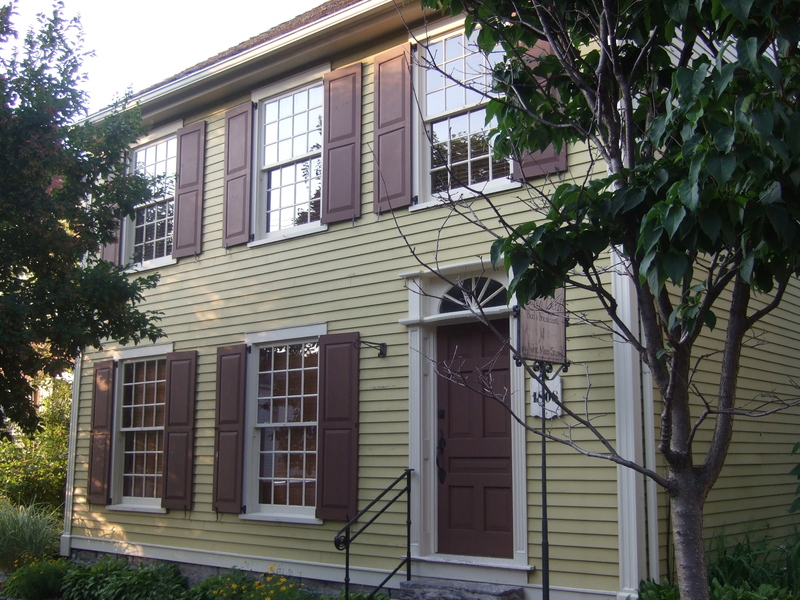 Although no single house was used as the basis for the Abbott home in the Caroline books, a number of period homes—like this one—provided inspiration. Finally, a lot of exciting things happened there during the war, giving me fantastic plot possibilities. 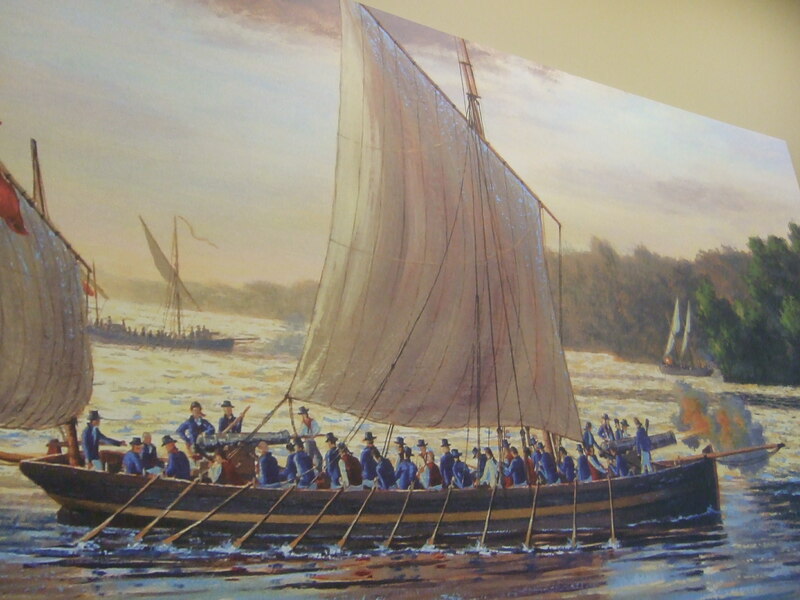 American military leaders chose Sackets Harbor as its base for the Great Lakes, and established a navy shipyard there. 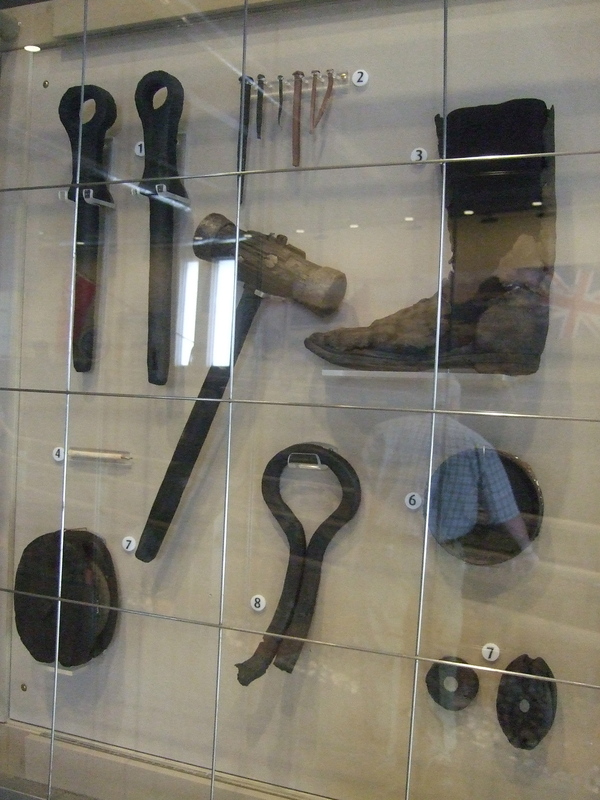 The British, just 30 miles away, wanted badly to take the town and seize or destroy supplies and ships. The hardest part was picking and choosing from all the wonderful plot possibilities. I couldn’t fit everything into six books! 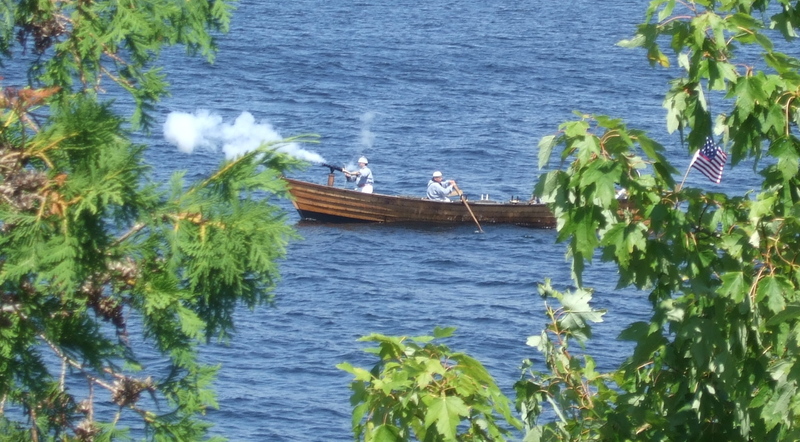 The British sailed across Lake Ontario soon after the war began in 1812, and a brief bombardment took place. That bombardment became part of the first book in the series, Meet Caroline. 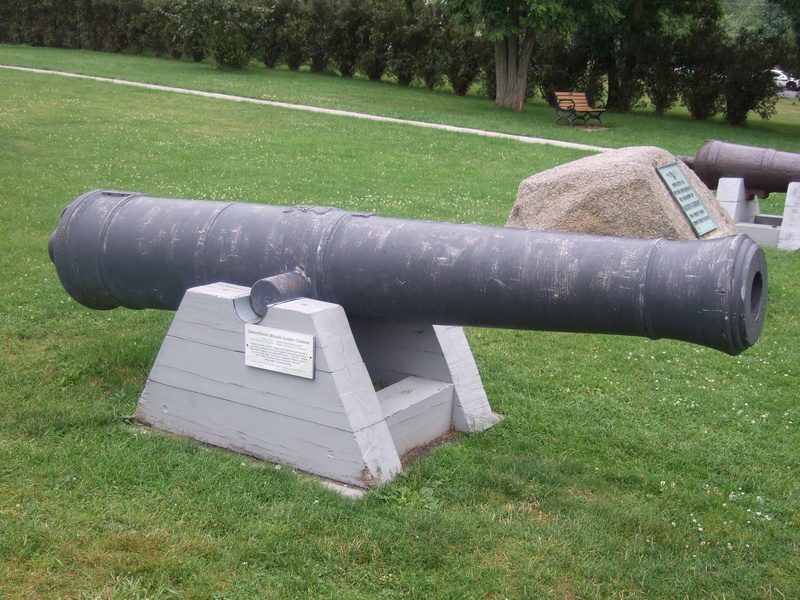 The Second Battle of Sackets Harbor took place on May 29th, 1813. This time a British force landed and tried to capture the town. 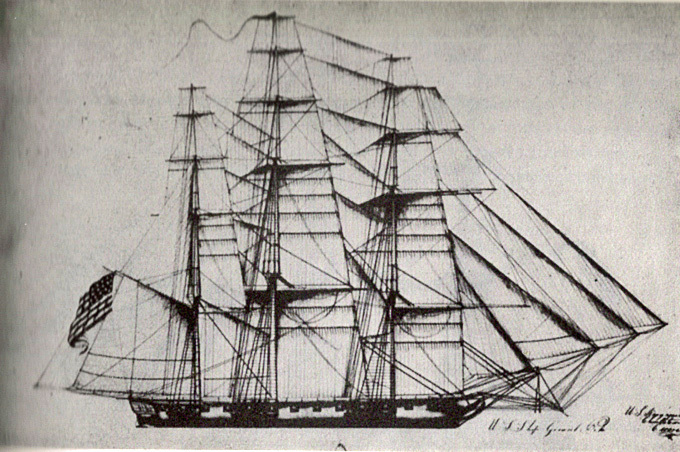 The 1813 attack forms the heart of Caroline’s Battle. 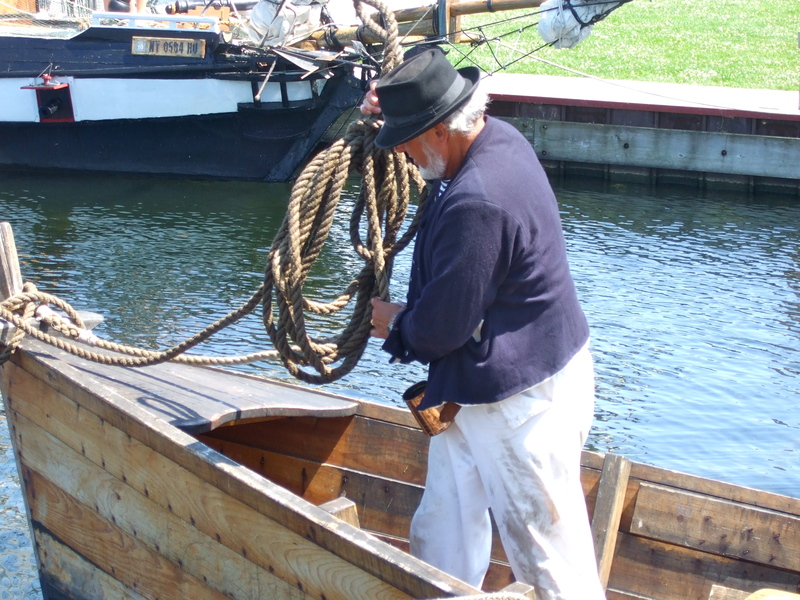 Farmers and craftsmen hurried from their homes to help defend Sackets Harbor. 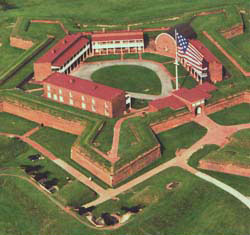 American naval officers decided that they would burn their shipyard if the British broke through the ring of defenses. Caroline and Mama, left alone to defend Abbott’s Shipyard, get the same order. Caroline isn’t sure it’s an order she can obey. When the battle begins, the shipyard workers are ordered to join the defensive lines. This fellow reminded me of Mr. Tate. I always try to incorporate real historical events into my fiction. In this case, I couldn’t have made up anything more dramatic or poignant than what really happened in Sackets Harbor that day. 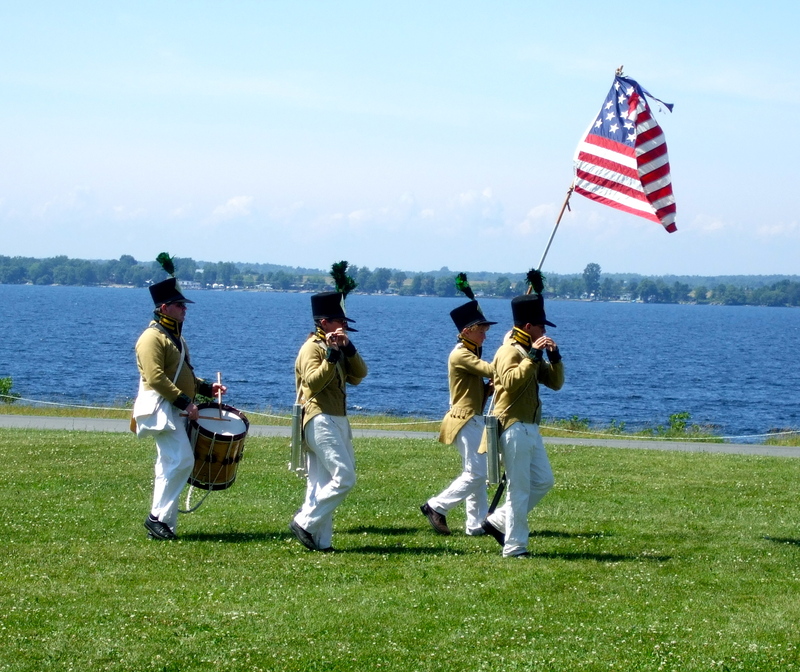 When I first visited Sackets Harbor to explore and do research, I timed my visit to coincide with a reenactment. Watching, and talking with the participants, helped me imagine the chaos Caroline faced. 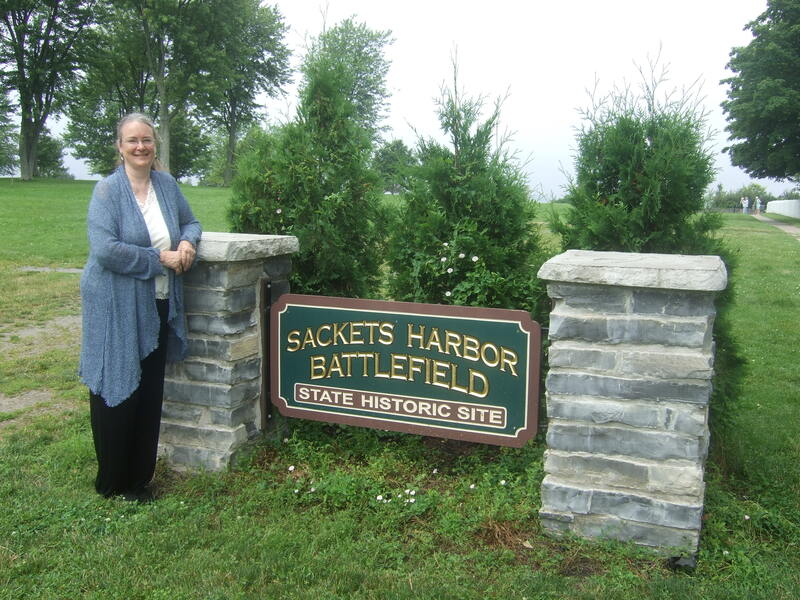 Sackets Harbor Battlefield State Historic Site is a wonderful place to explore. 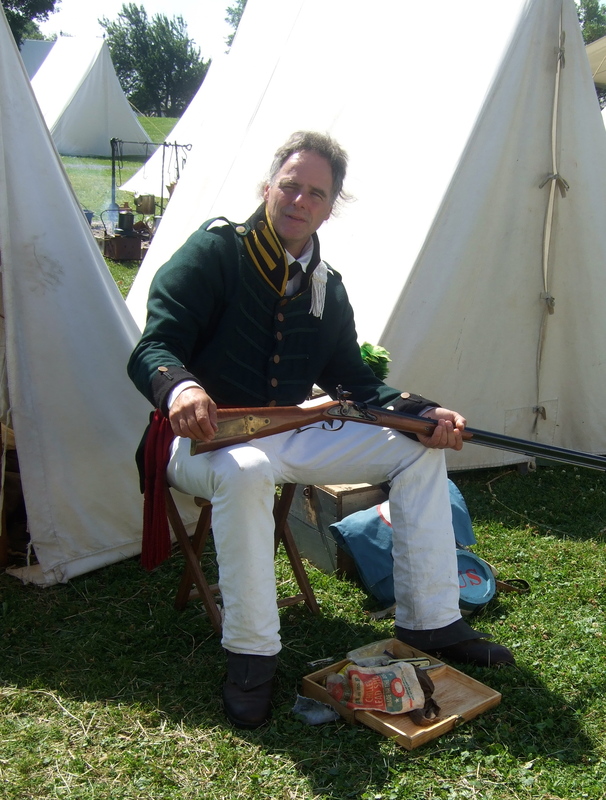 The reenactment takes place every year, and during summer months interpreters can help visitors imagine what happened on that very ground in 1813. I hope that Caroline’s Battle is an exciting and satisfying read. I also hope it helps remind us all that war affects not just soldiers and sailors, but civilians too. Are you ready to meet Caroline Abbott? 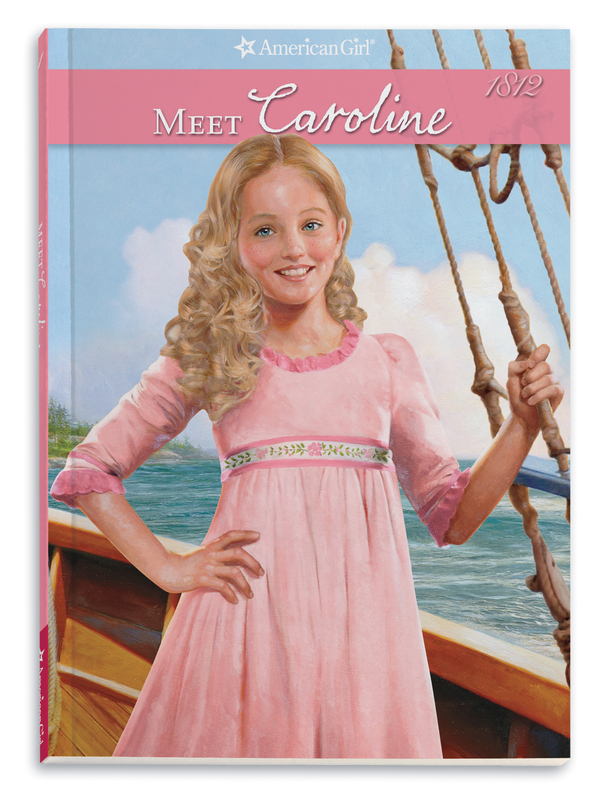 At long last, the 1812 character I created for American Girl is launching into the world! All six books are now available. 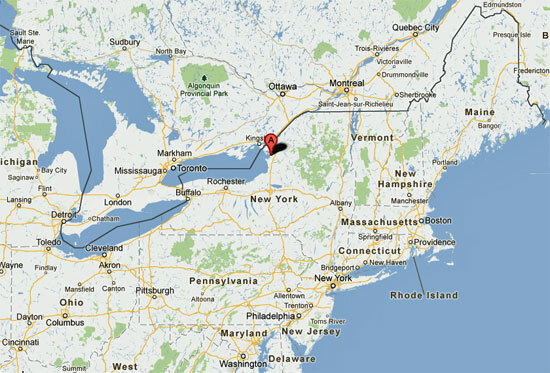 Caroline Abbott lives in Sackets Harbor, New York. 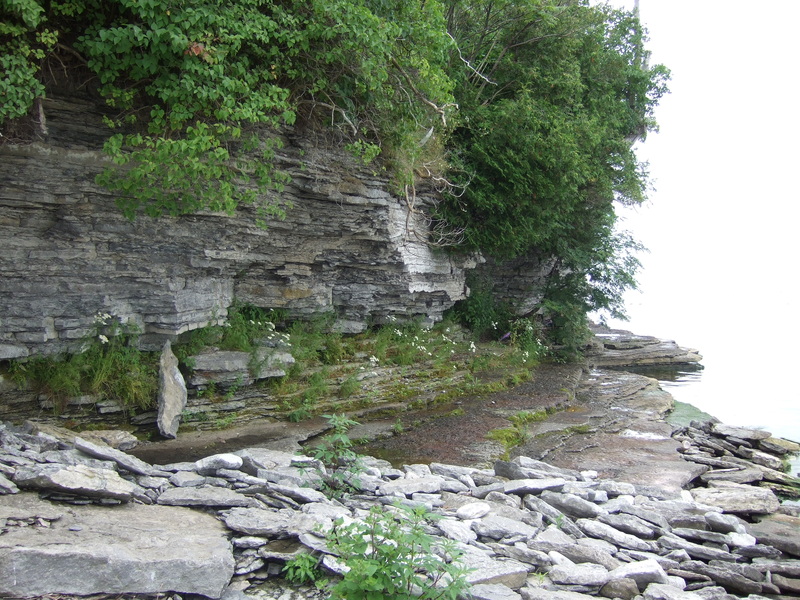 The village is on the southern shore of Lake Ontario. 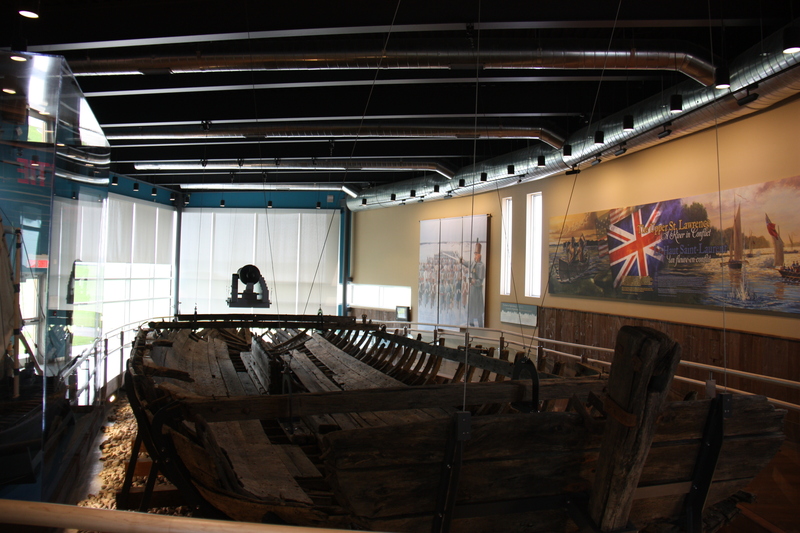 The Abbott family owns a small shipyard, situated to take advantage of a protected harbor. Readers will quickly discover that Caroline wouldn’t want to live anywhere else! She loves her family home, which is not huge, but quite a step up from the log cabin she was born in. She loves visiting the family shipyard. 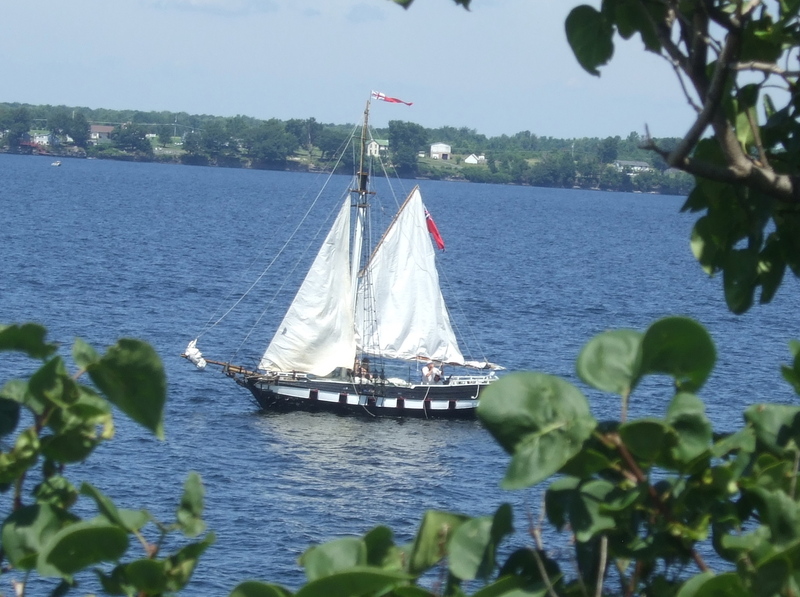 She loves to look over Lake Ontario and imagine sailing her own ship one day. Although this photo was taken many years after Caroline’s time, it clearly shows the natural harbor. Can you imagine Abbott’s Shipyard on the shoreline near the bottom of the photo? 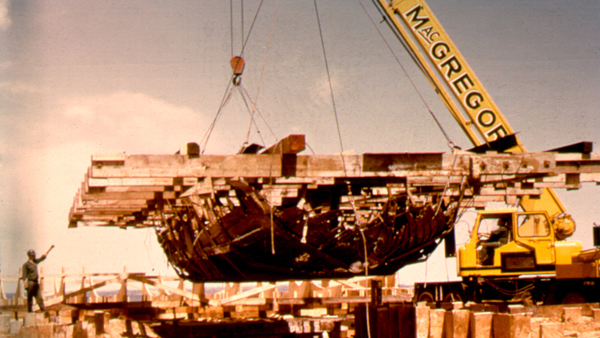 When Caroline’s story starts, Papa’s small shipyard is already successful. 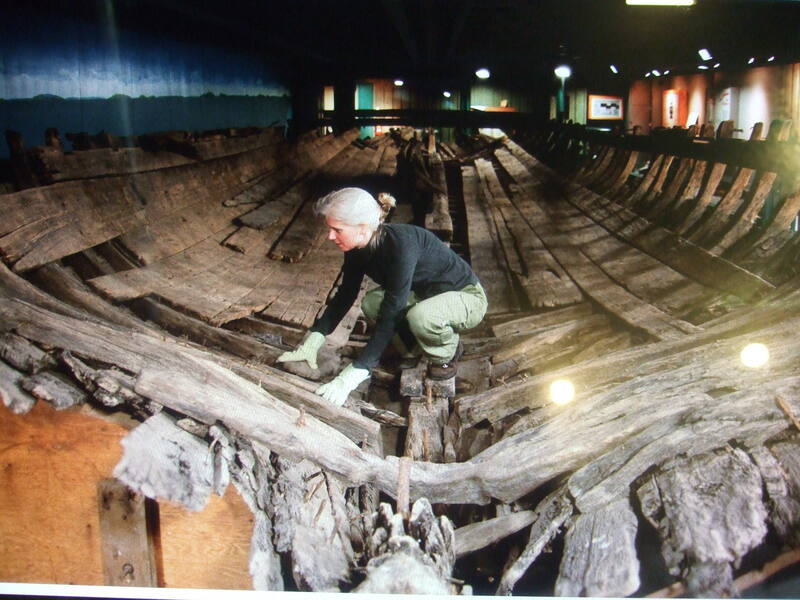 The deep woods provide timber for the ships needed to transport people and goods around the Great Lakes. And that sheltered harbor provides protection as he builds his merchant ships. Meet Caroline begins in June, 1812, just as the United States declares war on Great Britain. 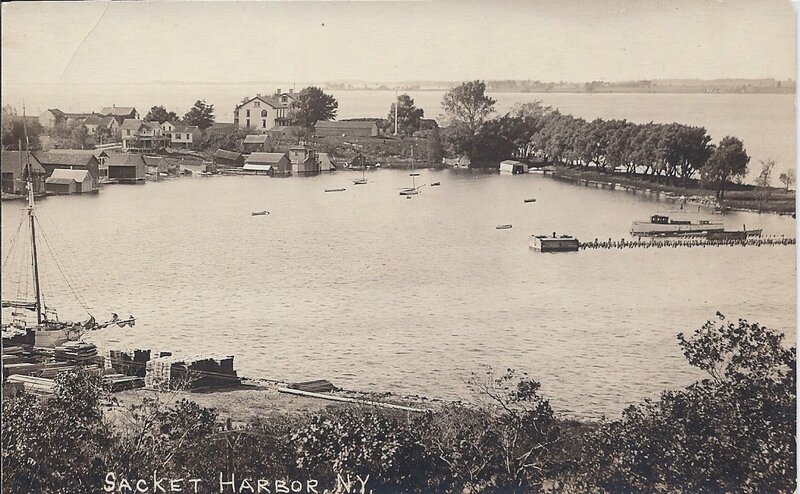 Sackets Harbor becomes the center of American naval and military operations. Caroline watches as her tiny village grows into a bustling town jammed with troops and shipbuilders. 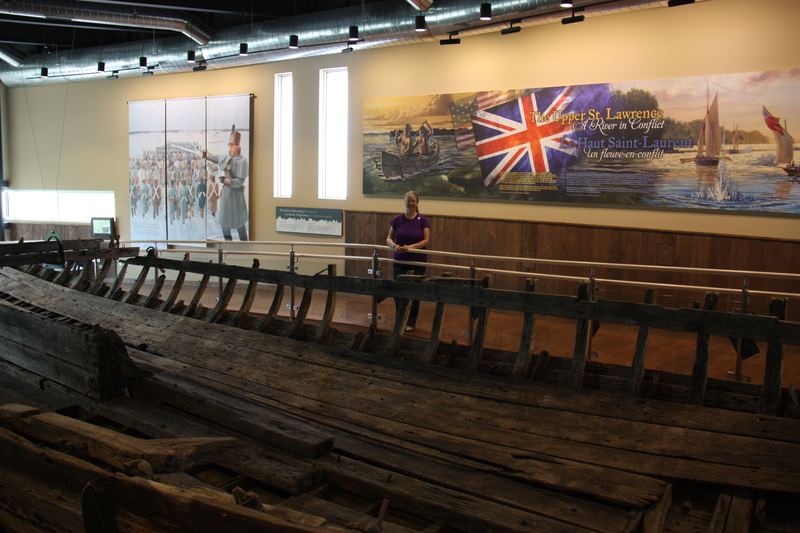 The British colony of Upper Canada was right across the lake—just thirty miles away! 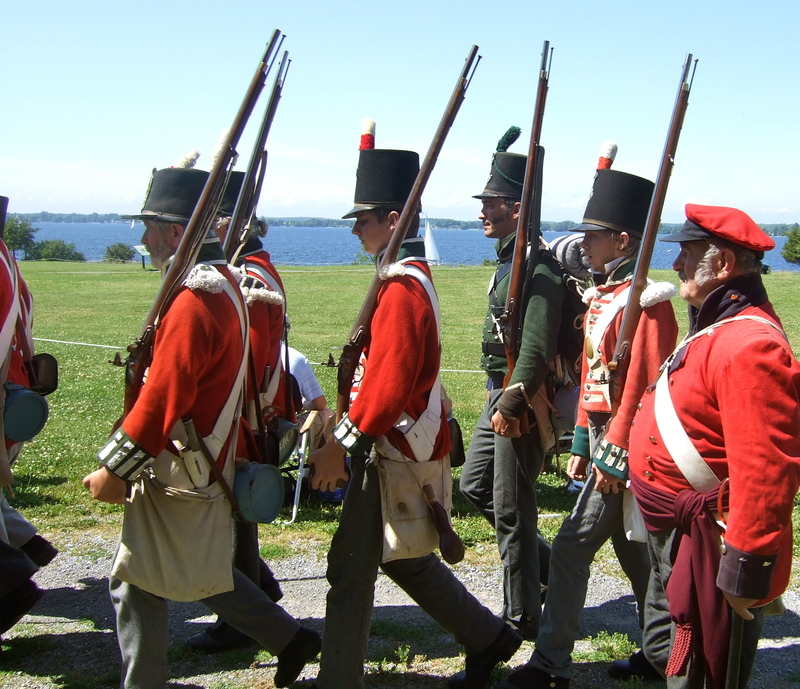 Today, two hundred years later, it is very easy to stroll through Sackets Harbor and imagine Caroline there. The view from Caroline’s bedroom window would have looked much like this. 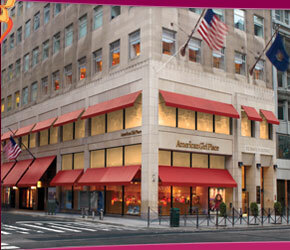 A handful of buildings dating back to her era still exist. Today this beautiful building overlooking the harbor houses the village Visitor Center. This shoreline must have looked very similar in Caroline’s day. A lot of exciting things happened in this area during the War of 1812. 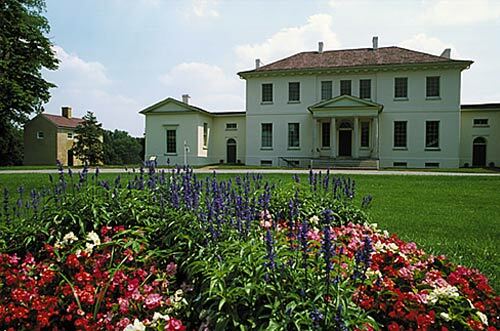 Setting Caroline’s stories in Sackets Harbor gave me a wonderful environment and lots of exciting historical events to work with. I’ll share more about those in future blog posts, so stop back again soon! You know her name. You know her year. 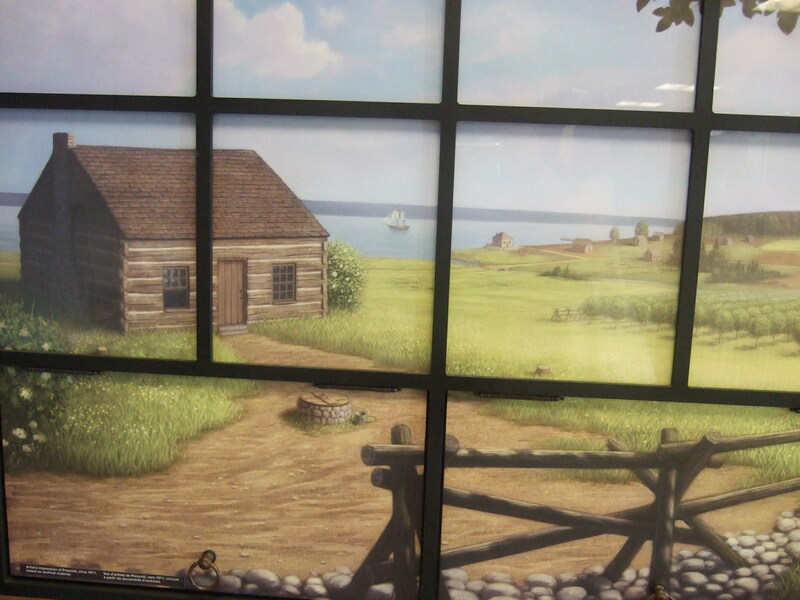 Now discover more about American Girl’s newest historical character! 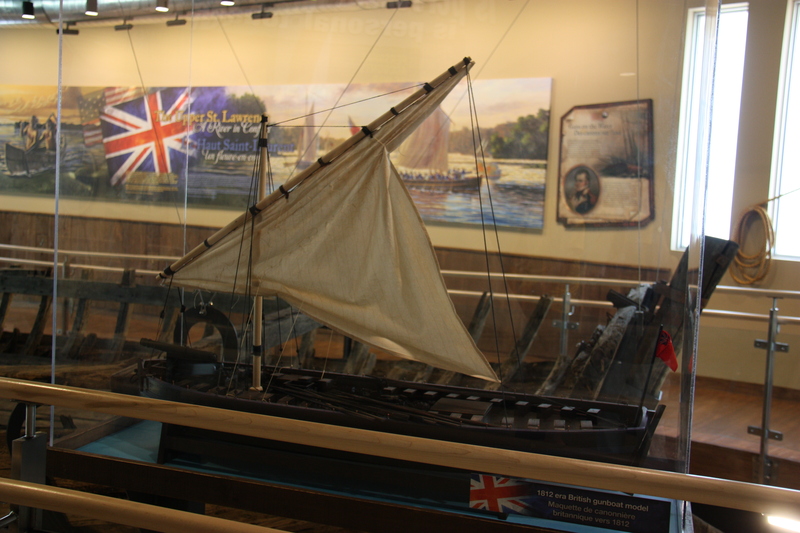 The company has revealed the Caroline doll and where her story takes place — Sackets Harbor, New York, on the shores of Lake Ontario as the War of 1812 begins.